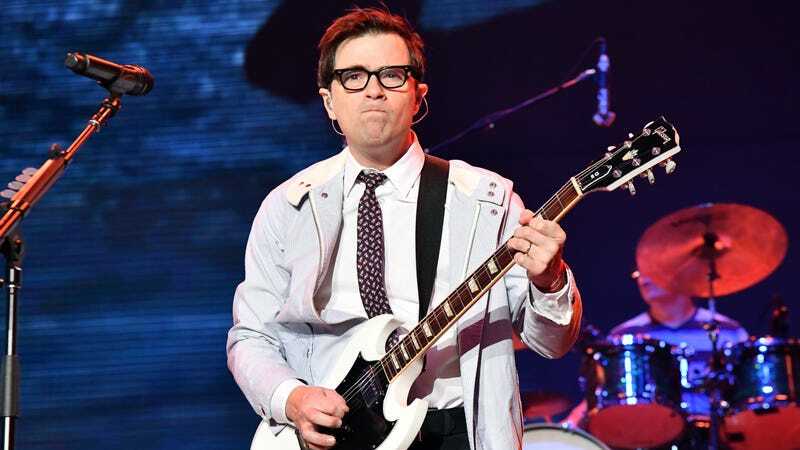 Weezer frontman Rivers Cuomo unleashed a new single on the world today, releasing “Medicine For Melancholy” on Apple Music and Spotify. As its title suggests, the gospel-y, poppy track is a plaintive call for the listener to give Cuomo a hand, please; would one of you out there mind just, like, hanging out with him for a minute? It’s sounding kind of rough. “Life is pain, puzzles make me hurt, I want to go extinct,” Cuomo mopes on the first verse, before dubbing the listener his “Medicine For Melancholy,” and asking them to fill him up with “that Friday feeling.” As far as calls for co-dependency go, it’s at least reasonably catchy and upbeat; the basic sound will be familiar to anyone who spent much time with Weezer’s 2017 offering Pacific Daydream, albeit with a little bit more of a triumphant, dance-track beat to go with its ostensibly positive message.